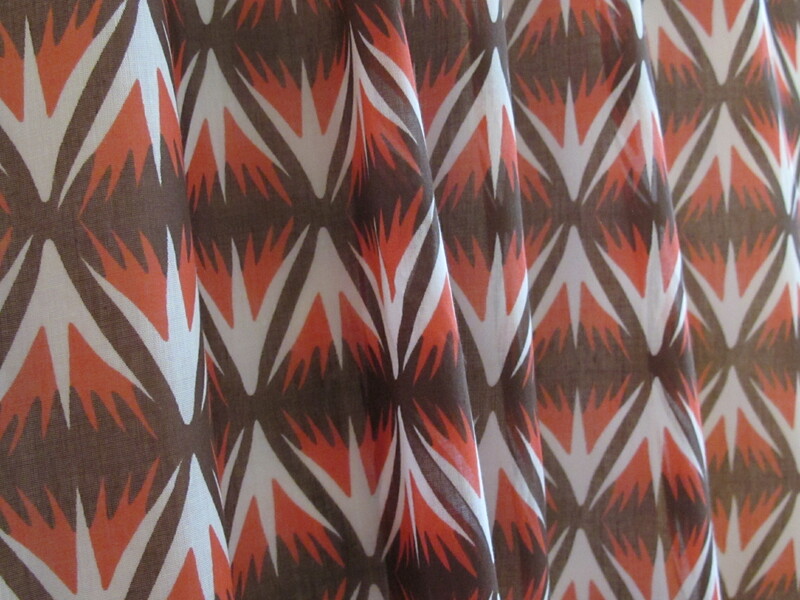 I have seen the original garments Milly made in this silk cotton voile but for the life of me can’t find them now. She made loose tops and tunics, simple, but that is all you need with this striking fabric. In my search I was reminded how much Milly loves the colour orange. She incorporates this into her collection year after year. 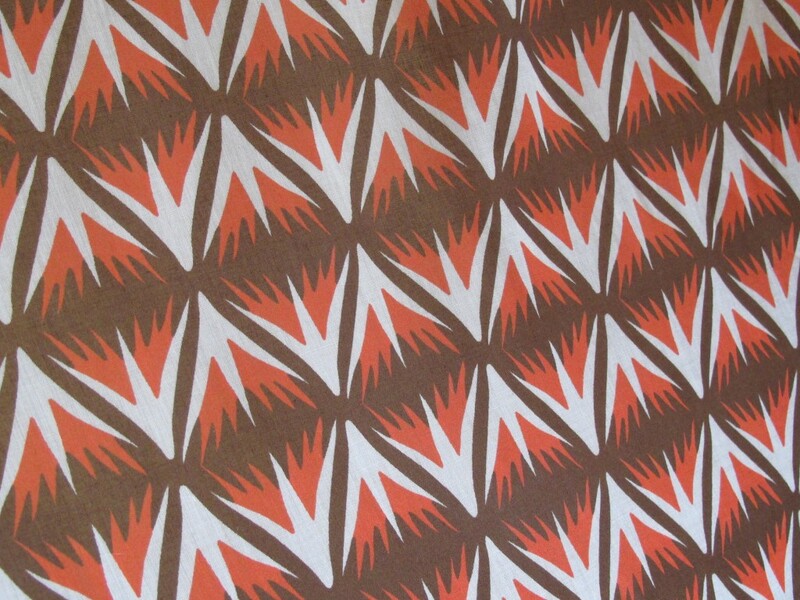 I’m in love with the colour again and am keeping back some other orange based Milly fabrics for myself. 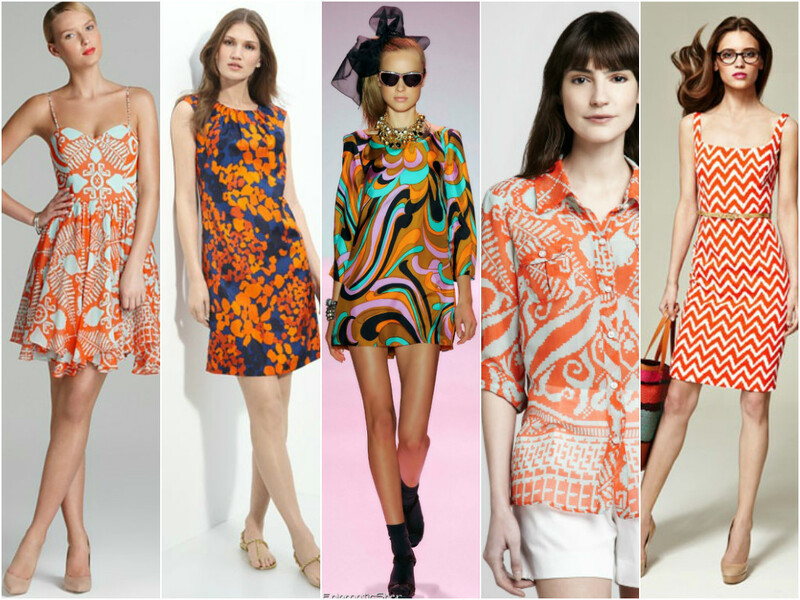 Here are some of her other orange print designs. 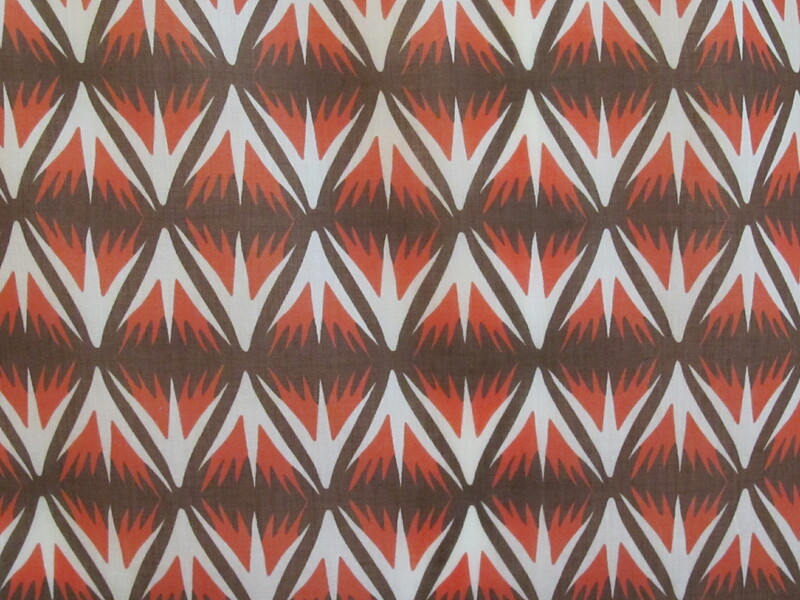 I’m at a bit of a loss to describe the print of this fabric. I can call it a tribal sort of print, but I feel as if I should know what these symbols are. 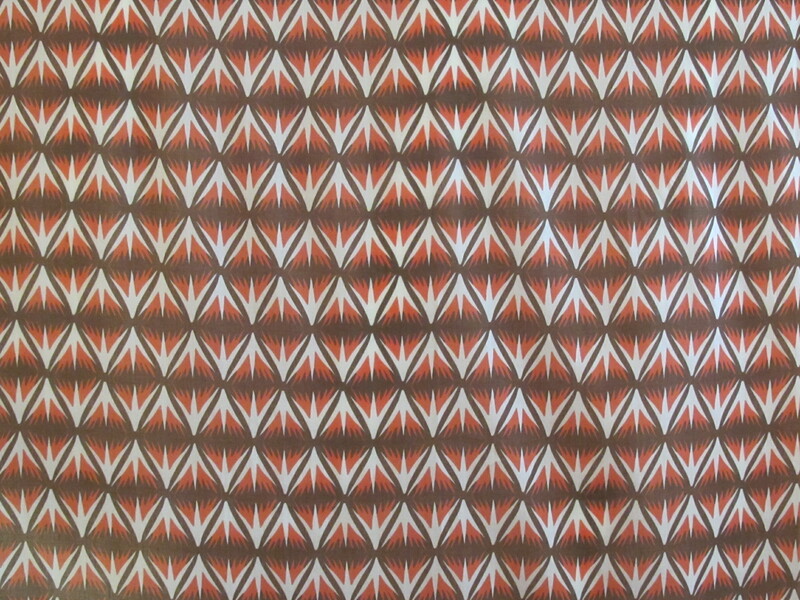 The best I can do here today is to mention the lovely repeating quality of this deep tangerine and soft brown graphic on the off-white background. The pattern has an order and symmetry that is really pleasing to the eye. The fabric is a soft and light silk cotton blend. It is not opaque but has more density than many voile fabrics. You can cut volume here…gathers on tops, into yokes and so on would all work well. 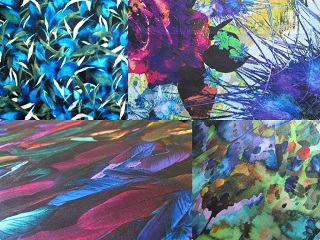 This fabric is 145cm wide and the length is 2 metres. The fabric price is $23 a metre/$46 for the piece.